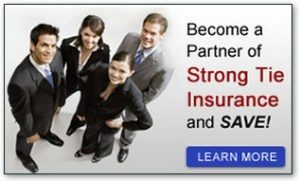 Strong Tie Insurance is one of the fastest growing independent insurance companies in Southern California; we’re a great place to work! We’re always seeking energetic, enthusiastic qualified individuals (bilingual a +) to make our organization stronger! Do you have what it takes to join the Strong Tie team? If so, please contact us via this page.